McKenna’s Guides Editor William Barry caught up with JP McMahon, organiser of Food on the Edge, ahead of the 2018 edition of the Symposium which takes place in Galway on October 22nd and 23rd. WB: For those not familiar what is Food on the Edge? 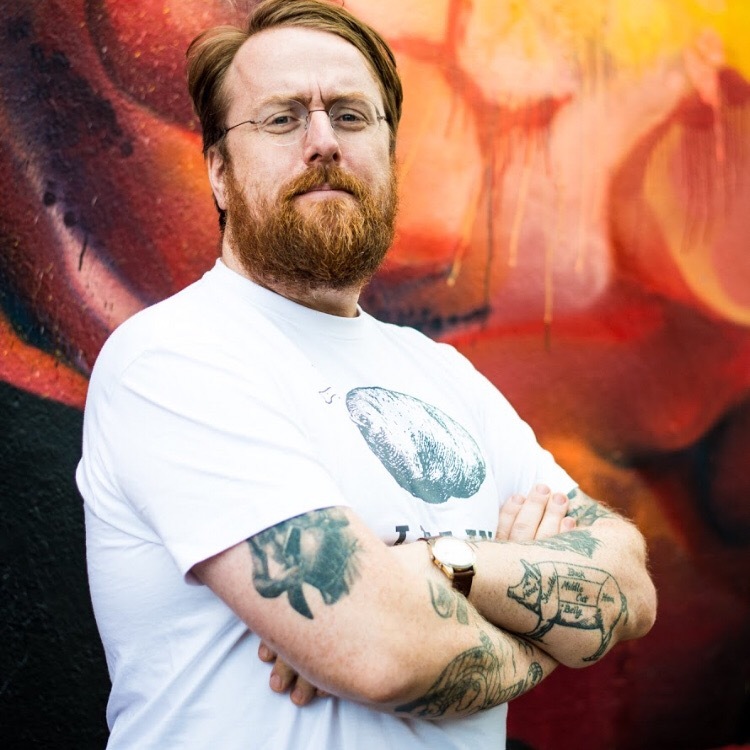 JPMcM: FOTE is a two day symposium which brings together some of the worlds celebrated, best known and also unknown chefs to inspire Irish food to get a little better. WB: Who should attend FOTE? What will they gain from attending? JPMcM: I think anyone involved in food in the industry in Ireland whether they're a farmer, a producer, a supplier, a chef or a restaurant owner. I think anyone has the ability to become inspired if they're involved and I believe that by listening to the talks and networking they will go away with a better appreciation of Irish food and also international food. WB: Who are you really looking forward to hearing from this year? JPMcM: I am really looking forward to hearing from Andoni Luis Aduriz from Mugaritz (Mugaritz in Basque Country was recently voted the most memorable foodie experience anywhere on the planet). Also I am really keen to hear from Albert Adria (formerly of El Bulli and recently featured in Netflix’s Chefs Table) he has done a lot and opened new restaurants since he was with us last year. This year I am taking a step back from being an MC so I look forward to hearing some of the conversations between our guest MCs* and their interviewees* MCs, chefs Matt Orlando (AMASS Copenhagen) and Sasu Laukkonen (Ora Restaurant, Helsinki). WB: Who works with you to produce FOTE? WB: Are there other events which you attended or heard about which inspired FOTE? I have never been to FOTE but I’m guessing it’s like Ted Talks or the WebSummit or MAD? JPMcM: FOTE draws the best bits of many similar events, a little bit of TED talks, a little bit of MAD, Terroir in Canada is a super event which has similar 15-20 minute talks which introduce people to Canadian cuisine in terms of terroir, I went there a few times, and also taking part in “Cook it Raw”, which is a conference where 20 chefs meet up and investigate a local landscape and I learned how bringing international recognition for food can do wonders for a certain place. WB:When did FOTE start and how has it grown? WB: Are tickets still available and where can they be got? JPMcM: We have moved to a bigger venue this year so there are plenty of tickets available and they are on the FOTE website. ………………………………………………………………………………………………………………………………Editor’s Note: I am genuinely excited for this year’s FOTE. There will a lot to learn from the speakers but, as is ever the way, there will be more to be learned around tables in pubs and restaurants from fellow delegates each night. Galway has always been a city which throws open its arms to visitors and FOTE is unlikely to break this tradition. The city will have its best foot forward and the best of food to the fore. Tickets are still available and accommodation is reasonably priced in Galway at this time of the year, some of the places to stay could include The Connacht Hotel or the Galmont Hotel which are large hotels, The House Hotel or the Huntsman are smaller hotels, The Twelve Hotel is a little out of town in friendly Barna, The Stop and The Nest are trusted Bed and Breakfasts. AirBnBs are plentiful and so are self-catering apartments.